One of the things I’ve learned over the years about food is that often, the recipes that have a reputation for being fussy are anything but. Souffles are a great example of this. Think of all the times you’ve seen a cook depicted making a souffle that failed to rise, or had fallen because of a loud sound. 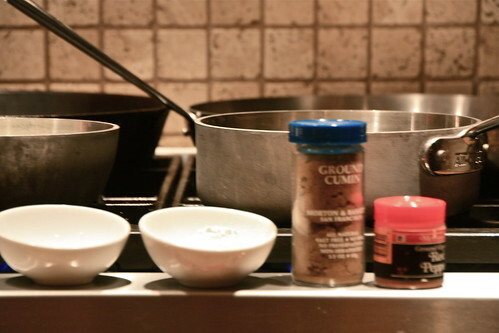 Why would the average cook want to waste time and ingredients on something that temperamental? Honestly, I’ve had more trouble with brownies and biscuits before, but I’ll chalk it up to approaching a common recipe with little or no thought and then blowing it when I least expected to. The fussy reputation of a souffle keeps me in line, and so I pay attention when I’m making one. If you’ve never tried one, you should. They’re perfect for a light meal on a weeknight because you will nearly always have everything you need on hand: eggs, milk, a bit of flour, and whatever you’d like to flavor it with. If you’re like me, your cheese drawer is always in need of attention and the combinations are just about limitless. Just remember — it’s all about the size of the dish. 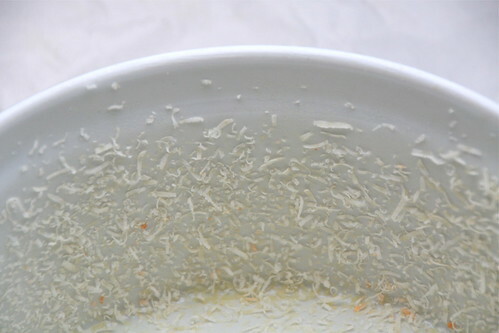 Lightly spray the inside of an 8-cup souffle dish (3-1/2″ x 7″) with oil and dust with the grated Parmesan. Set aside. 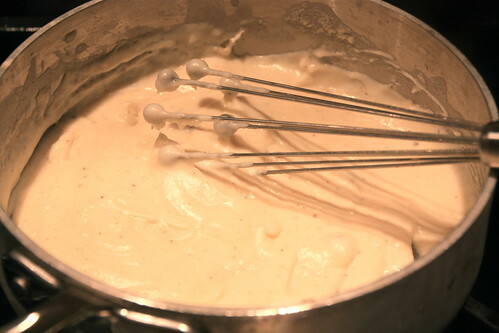 In a small sauce pan, heat the milk over medium heat until steam begins to rise and a film collects on the surface. Remove from heat. In a medium sauce pan, melt the butter and stir in the flour, continuing for about 2 minutes. 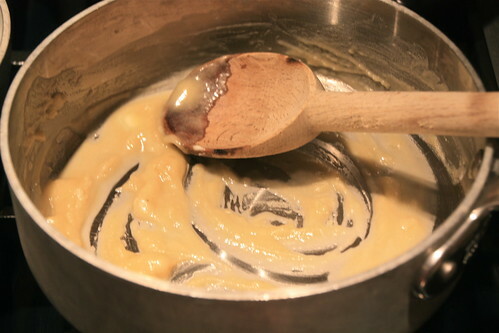 Gradually pour the hot milk into the flour mixture, stirring until smooth. Stir in the salt, pepper, cumin, and cayenne and continue to cook on low about 1 minute. It should be quite thick. Remove from the heat. Immediately stir in the egg yolks one by one, stirring well in between each addition. Add the grated cheddar and green chilis and mix well. 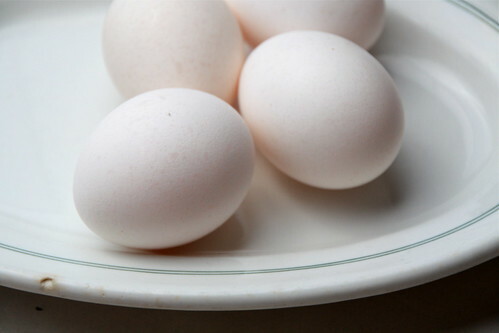 In the bowl of a standing mixer, add the egg whites and cream of tartar with a pinch of salt. Whisk on high until stiff, glossy peaks form. 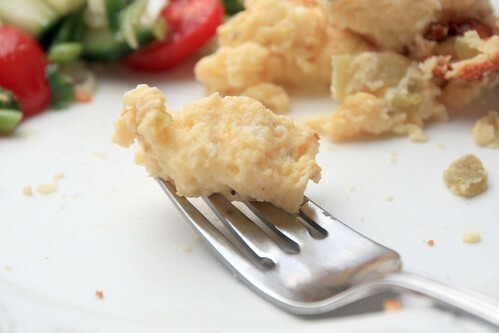 Lighten the cheese mixture with about one quarter of the egg whites, carefully folding them in. Then add the cheese mixture to the rest of the egg whites, carefully folding them in until well blended. Scrape into the prepared souffle dish. Smooth the top to even it out, then using a wooden skewer or knive, make a circle in the top beginning about 1-inch from the sides of the pan. Set the souffle in the center of the oven and immediately turn the heat down to 375 degrees F. Bake for 30 minutes until nice and puffy, and a rich golden brown. Enjoy immediately, as it will begin to deflate within minutes of removing it from the oven. 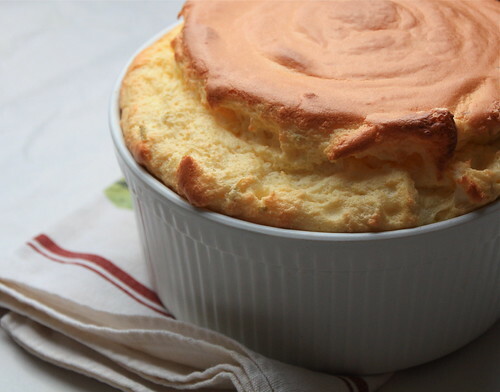 Julia Child’s cheese souffle was the first I made about 15 years ago and it came out perfectly the very first time. Since that time, I’ve tried many other variations, each with good results. This recipe is adapted from Ina Garten’s Blue Cheese Souffle. If choosing the right sized dish is the most important thing to consider, then not opening the oven while the souffle is baking is the second. Consistent heat = steam = lift! 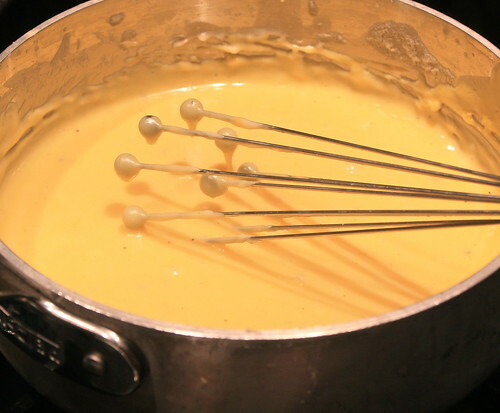 If you’re measuring the cheese, don’t pack the measuring cup. Make sure the green chilies are well-drained. Pour them into a strainer and press them with the back of a spoon just to make sure. Some advice from Julia: Leave the souffle in the oven 4-5 minutes longer for a drier souffle. A skewer inserted into the side removed clean lets you know it’s done. Make a nice salad while it’s in the oven. A tomato, cucumber, onion, cilantro salad tossed with some lime juice is perfect. Not exactly Cinco de Mayo fare — better!